Cultures, like individuals, are revealed by their fissures. A chapter in the theatre of Wales was inaugurated on 20th September 2018. There are three primary keys for deciphering its occurrence. One is the nature of the relationship with the writers of Wales. It was prompt for the article above, December 19th, in which ten directors of quality spoke about their expectations of critics. Over this last summer-into-winter of retrospection I re-read a brace of books on theatre. They are riddled with critics and comments on critics, the tales that they record spanning both good and bad. It is in truth rarely so decisive. It is only an art of simple-mindedness that will receive a reaction of single-mindedness. If a work contains complexity it will engender a variation of response. Variation is a prime indicator of an ecology in health. Michael Billington this last autumn found himself in a group of one when it came to Robert Icke’s rewriting of “the Wild Duck”. The most off-putting production that I saw in 2018 was gaudy and vacant. My view was shared by online commentators, members of the audience, while the production was adored by the London critics en masse. 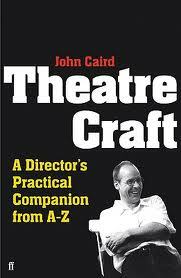 Caird’s book is written as an address to a young director. “Critics do not have a direct relationship with you or with how you work. Their primary professional relationship is with their readers, who may or not may be members of your audience. Your relationship is with your audience, who may or may not be readers of any particular newspapers or its critic. Indeed, members of your audience may not read the critics at all. So, be very careful how you think about critics and how you imagine they might be thinking about you. “…There are good critics and bad critics, just as there are good directors and bad directors. Good critics will sometimes be mistaken and bad critics will sometimes get it right, whatever “right” may be. Either way theirs is a deeply subjective craft- just as yours is. “Most critics take as much pride in their work as you do in yours. Do not make the mistake of judging their efforts by the same standards you use for your own. Indeed, you should avoid having any opinion about their efforts at all, especially where your own work is concerned. Just because they judge your work doesn’t mean you should feel obliged to judge their work in return. “….If you read the critics at all, and there is a very good argument for letting them alone, read them as a collective statement. Do not believe the good and ignore the bad, or vice versa. If you bolster yourself with a good notice from a particular critic you will be all the more disappointed when the same critic reviews you negatively in the future.